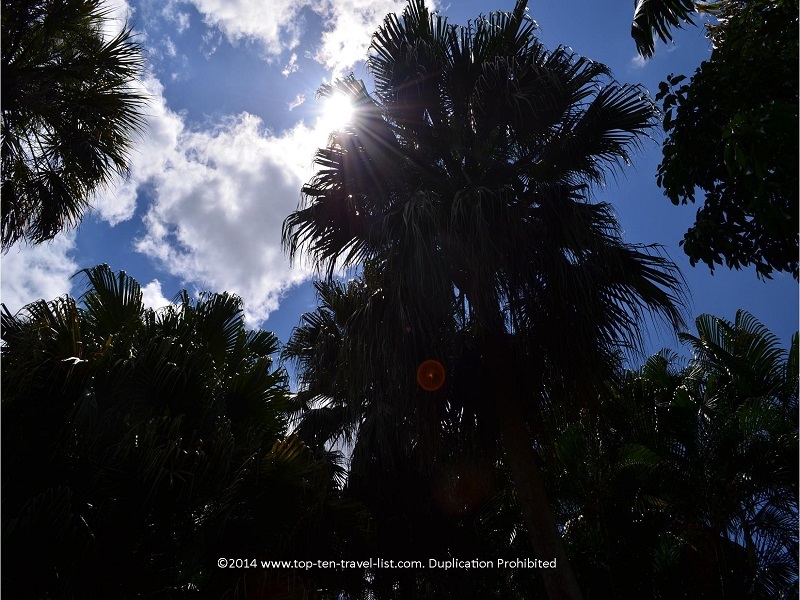 A St. Petersburg Oasis: Beautiful, Tropical Sunken Gardens - Top Ten Travel Blog | Our experiences traveling throughout the US. 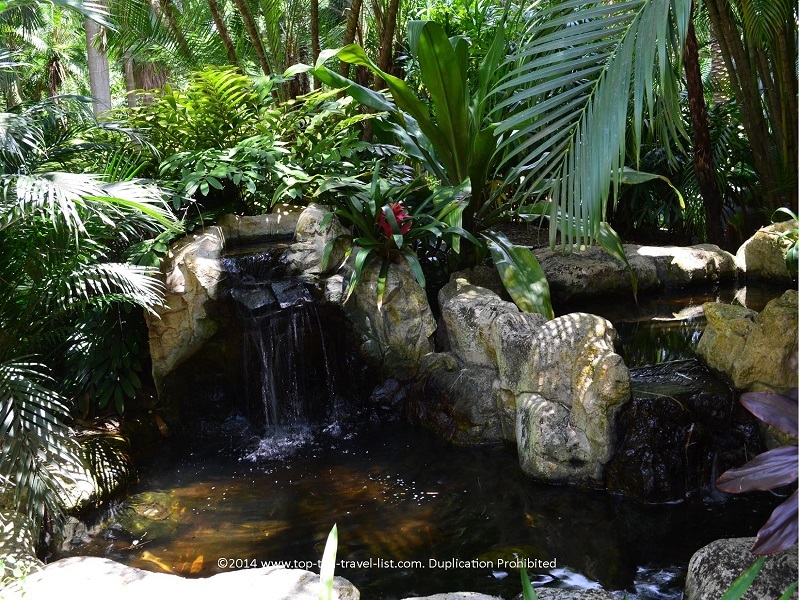 There are plenty of beautiful, unique places to explore in St. Petersburg, Florida. 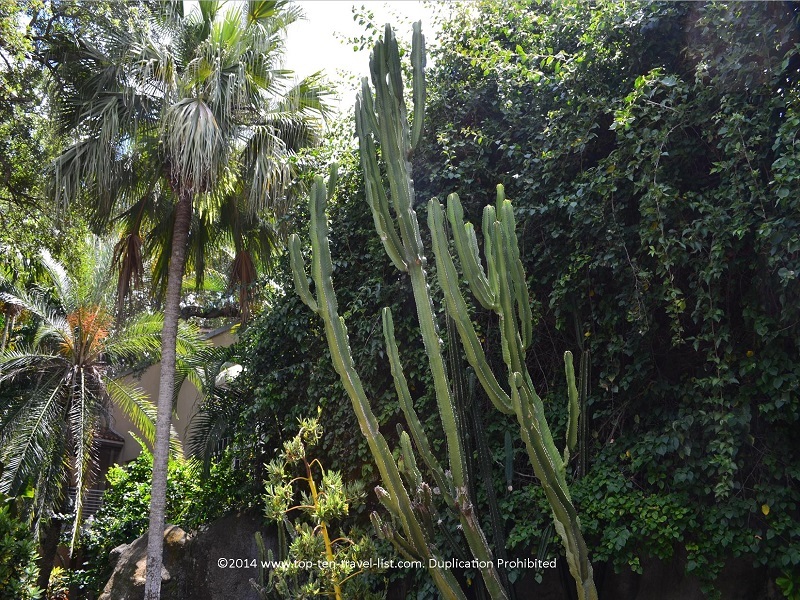 Sunken Gardens, a 100+ year old historical attraction, features an amazing collection of exotic plants and animals. 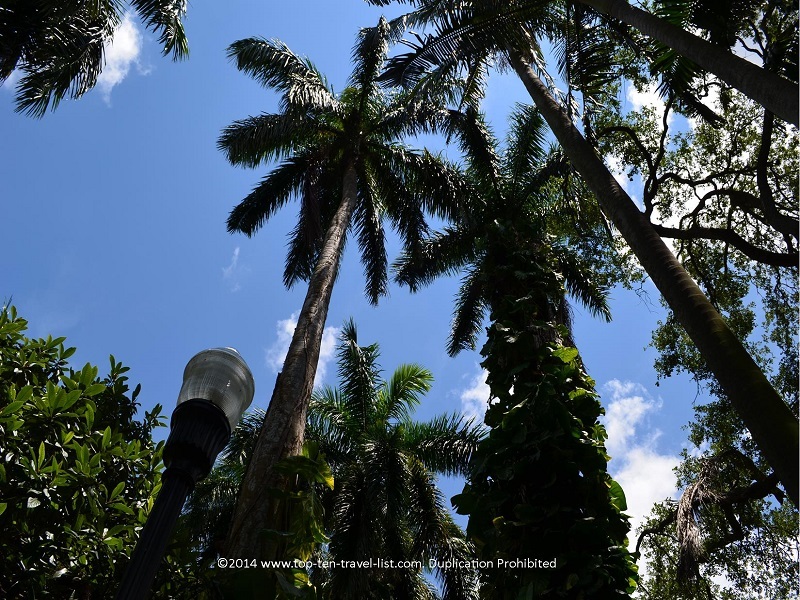 Sunken Gardens is a beautiful place to visit when you need an escape from the hustle and bustle of the city and hectic beach areas. 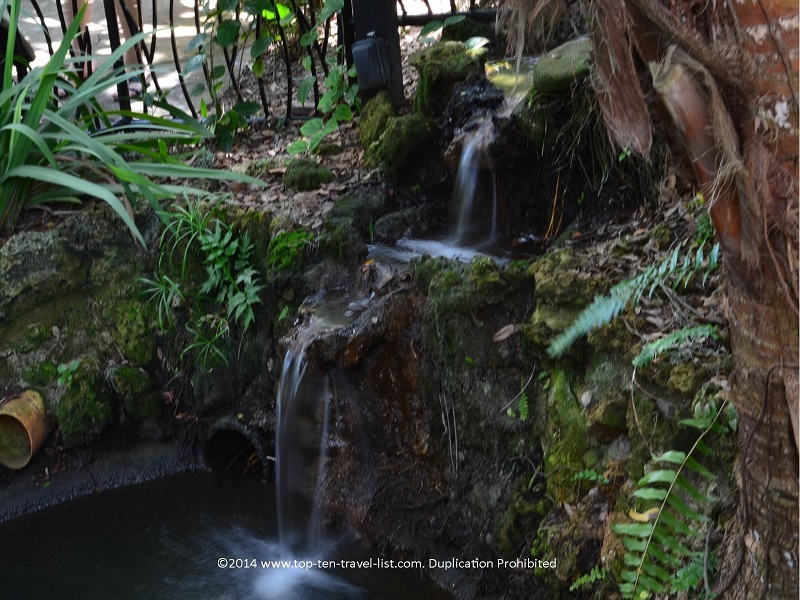 In 1903, George Turner drained a lake (15 feet below sea level) to create this beautiful place. 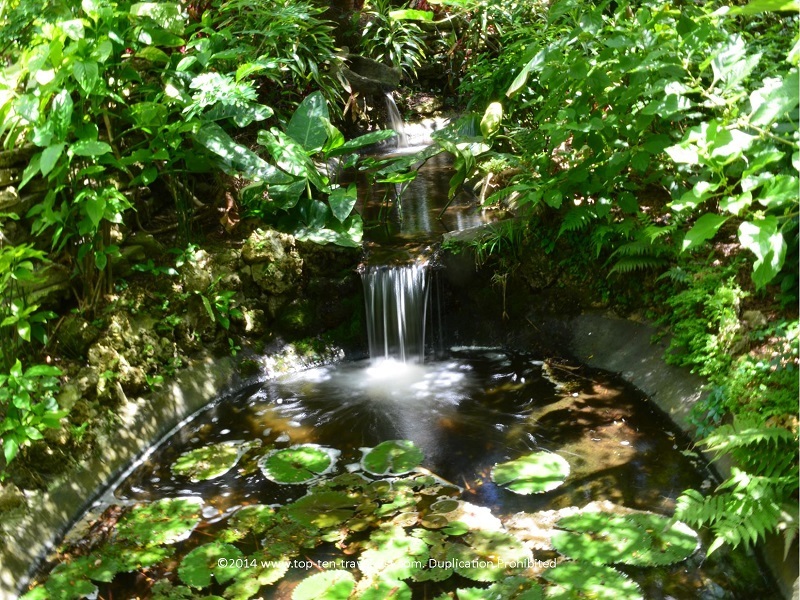 Sunken Gardens officially opened in 1935 and was named Turners Sunken Gardens. 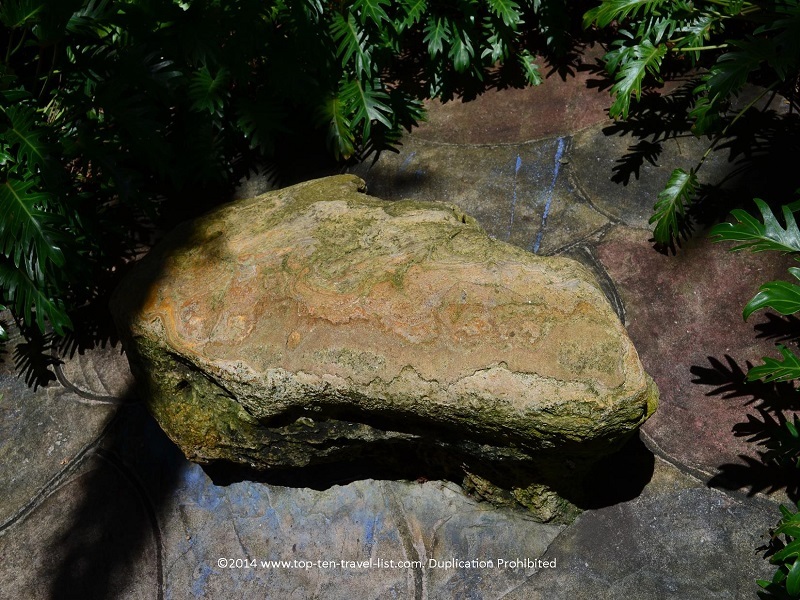 In 1998, it was designated as a historical landmark. This popular roadside attraction was once home to the world’s largest gift shop (now the restored entrance). 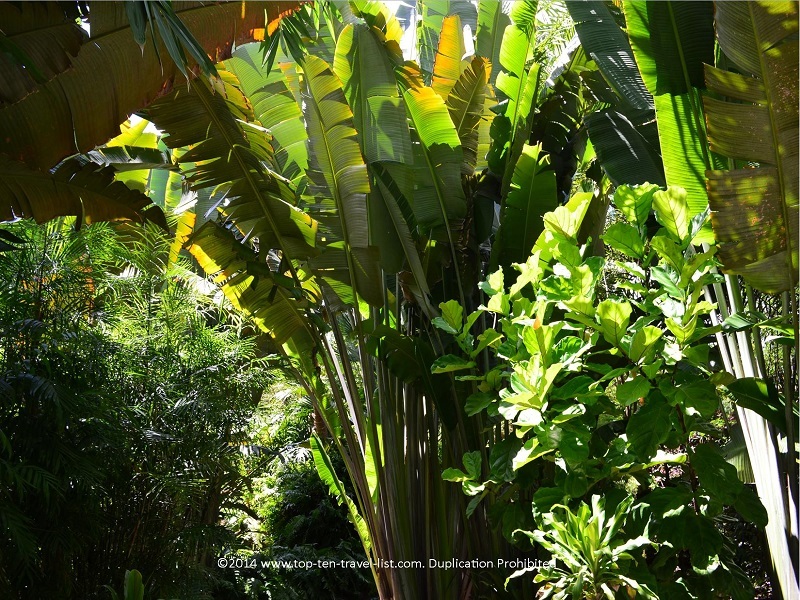 Today many of the same beautiful plants remain. 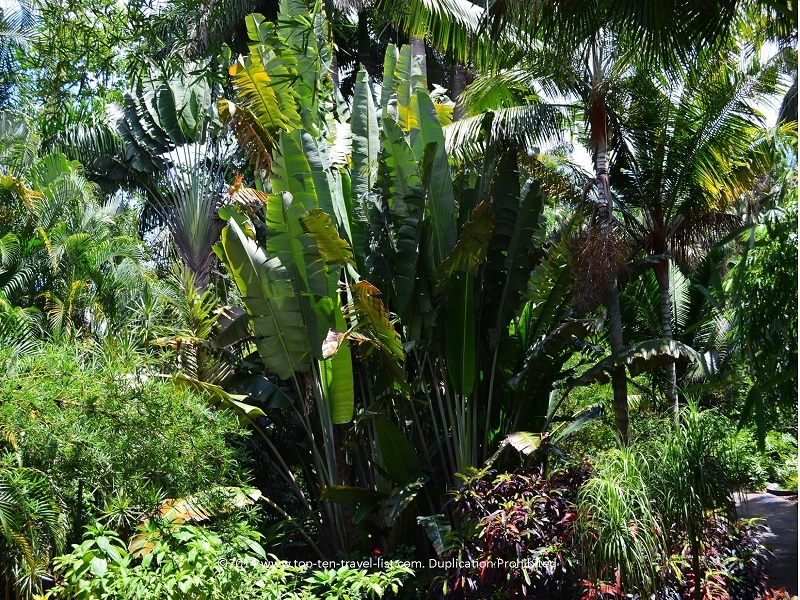 The grounds are very well-maintained and nicely landscaped. 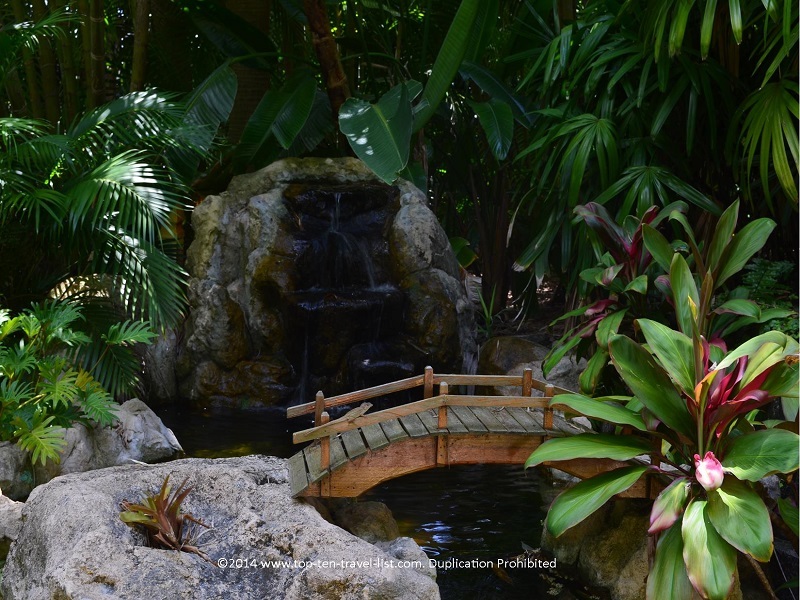 Sunken Gardens is a beautiful place to take a rejuvenating stroll. 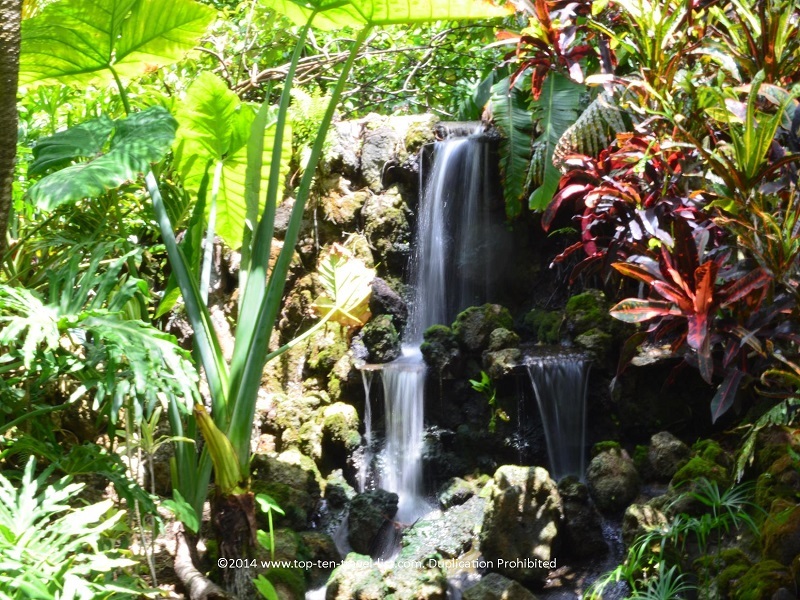 The entire garden is absolutely beautiful and relaxing, especially the many waterfalls found along the grounds. 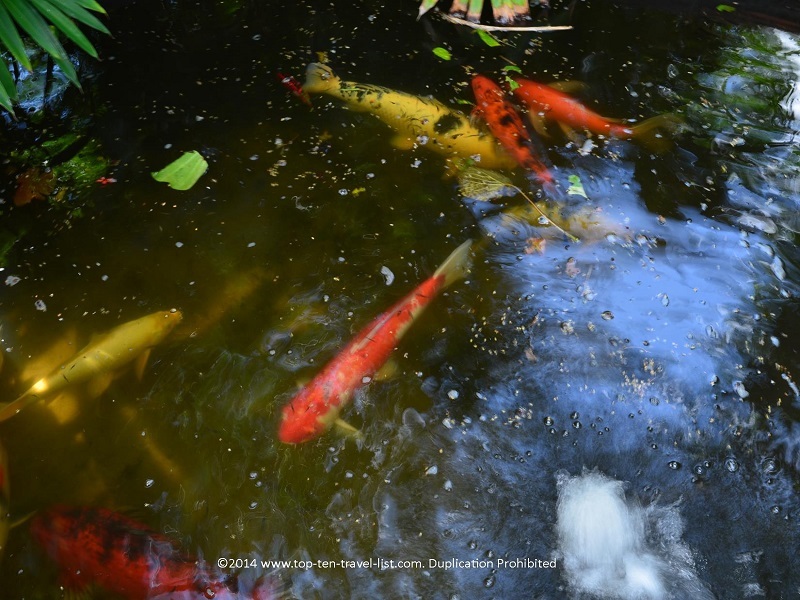 The Koi pond is also gorgeous. 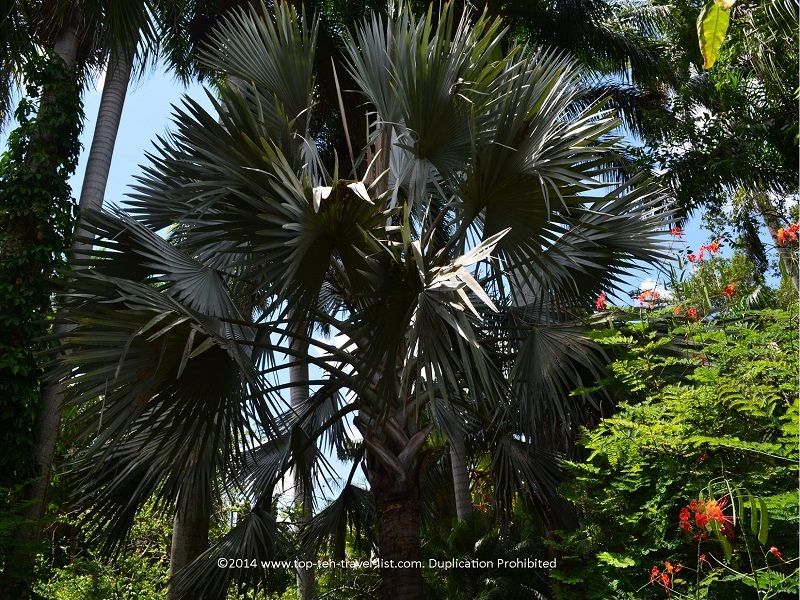 The palms from all over the world give the garden a lush tropical feel. 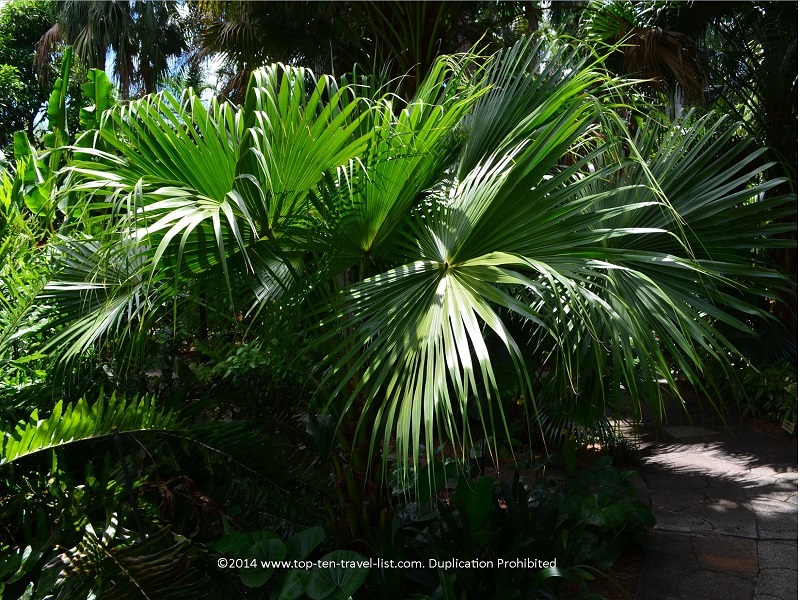 Take a look below at this odd grey colored palm, a Bismark Palm, native to Madagascar. 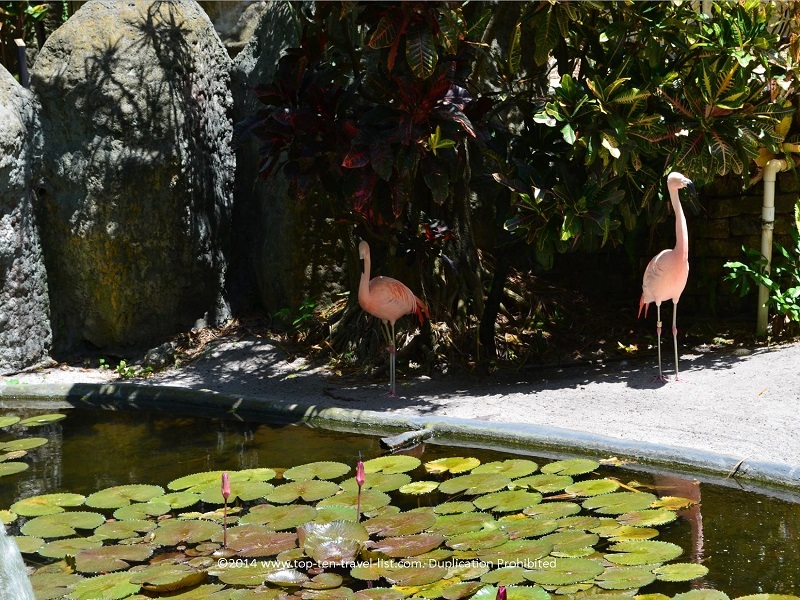 Other highlights include: flamingos and exotic birds. 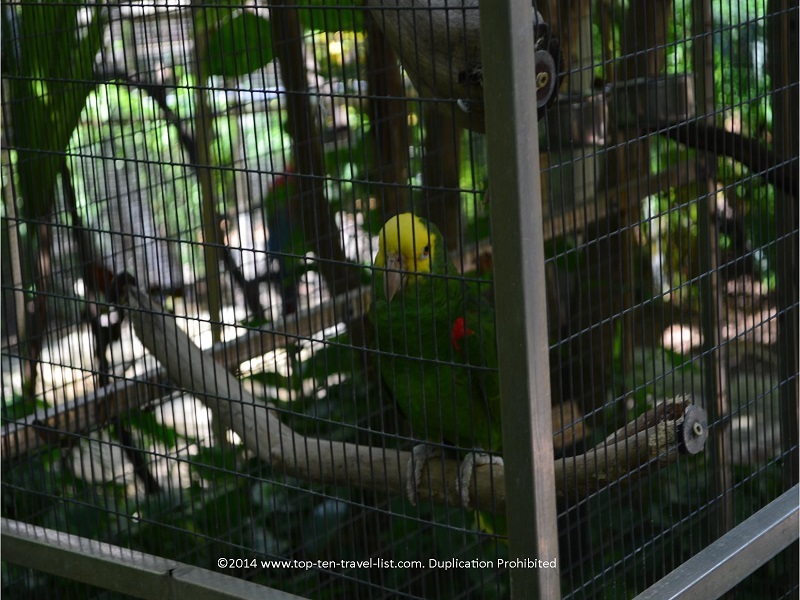 The parrots are beautiful. If you are lucky, you may get to hear them speak a phrase or 2! The Australian Cockatoo is quite a unique sight. 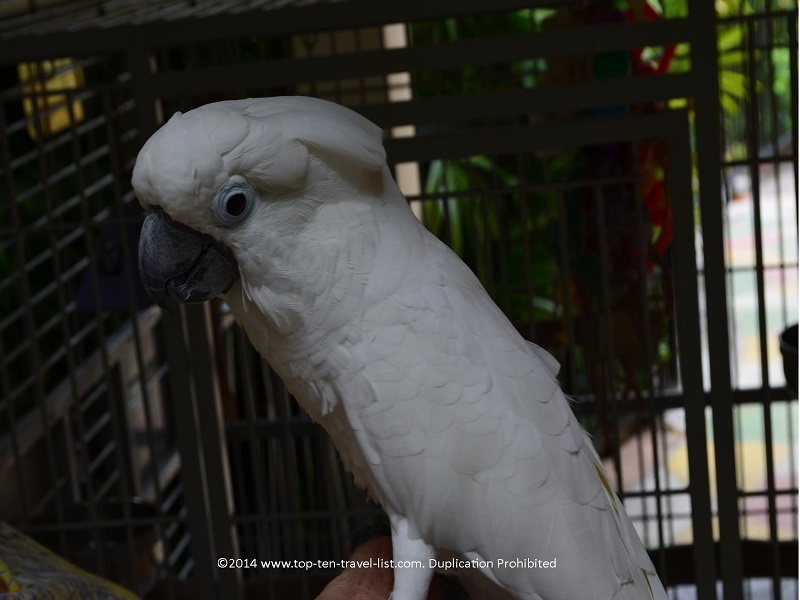 A staff member was nice enough to take the bird out of its’ cage and let us pet it. The bird was very friendly and eager to be petted, which seems odd to me! Because she had been around the bird since it was hatched, the bird cuddled up with her as a cat would do – this was really neat to see! 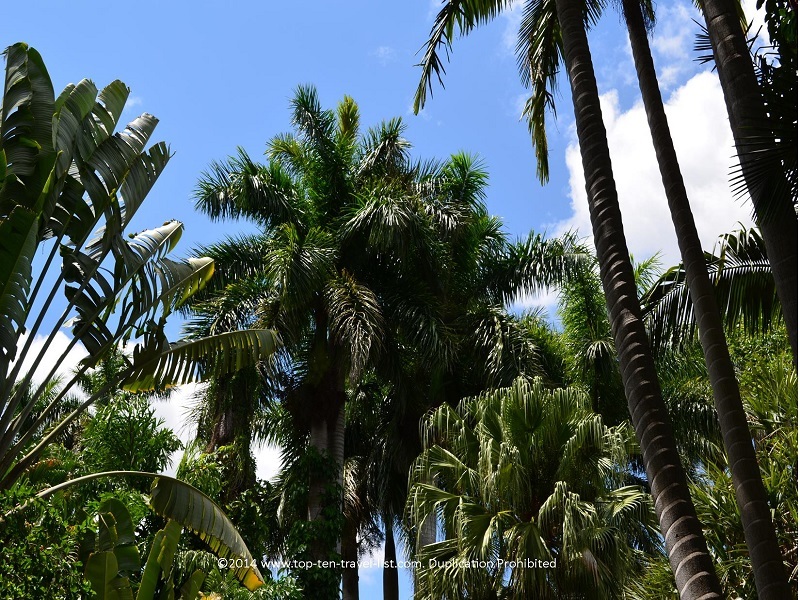 I would definitely recommend a visit to Sunken Gardens, whether you are a local looking for something new to do, or a tourist looking for the best things to do in the area. 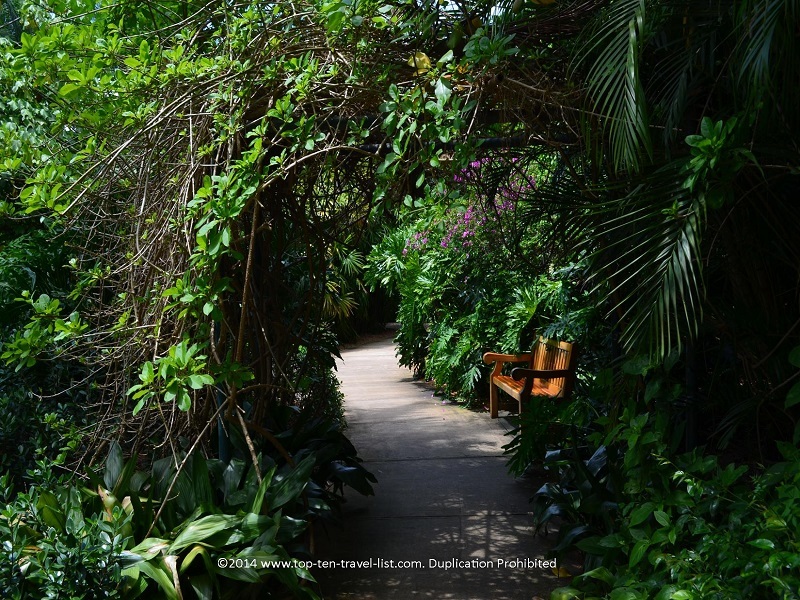 Sunken Gardens is a fantastic place for a stroll anytime of the year. A summer visit is great for escaping the crowds at the beach, while a winter visit offers a refreshing change of pace from holiday shopping. 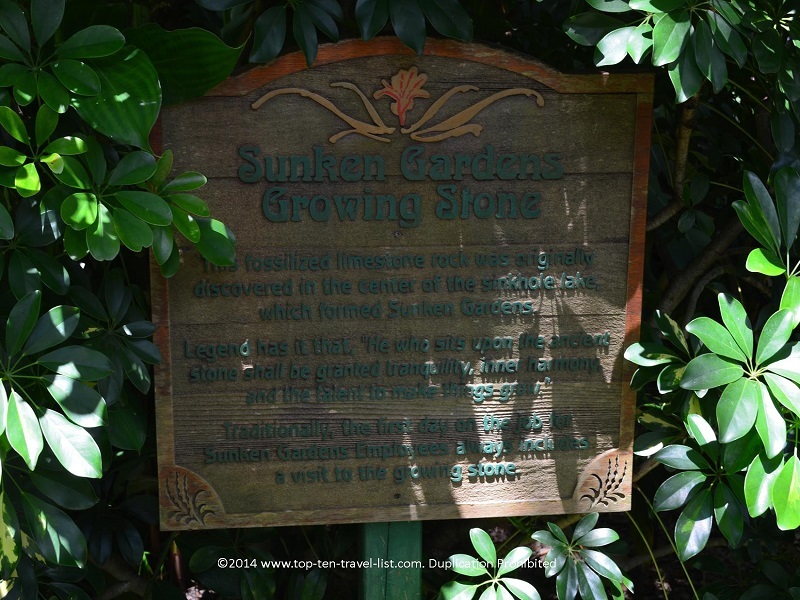 Sunken Gardens is located at 1825 4th St. N. in St. Petersburg. Admission is $8 for adults, $6 for seniors, and $4 for ages 2-11. Hours are Monday-Saturday: 10am-4:30pm, and Sunday: Noon-4:30pm.